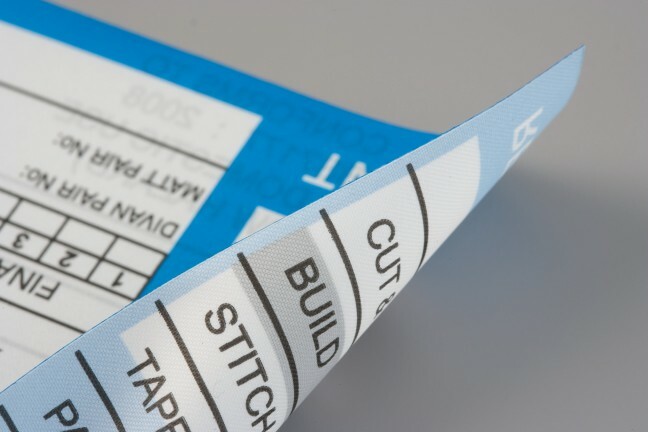 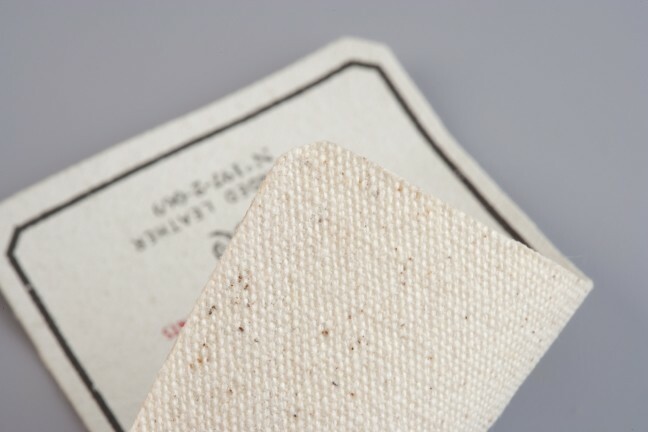 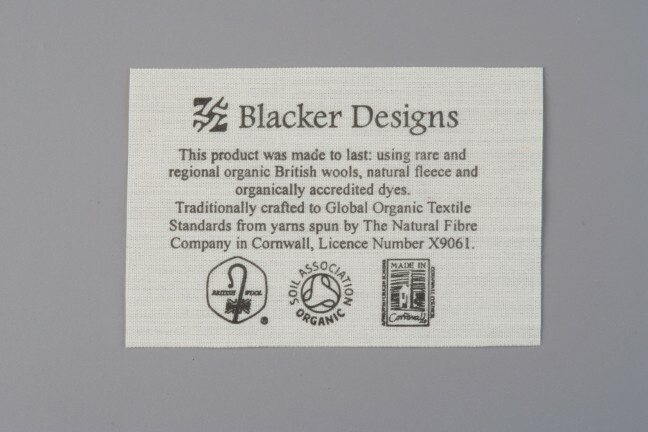 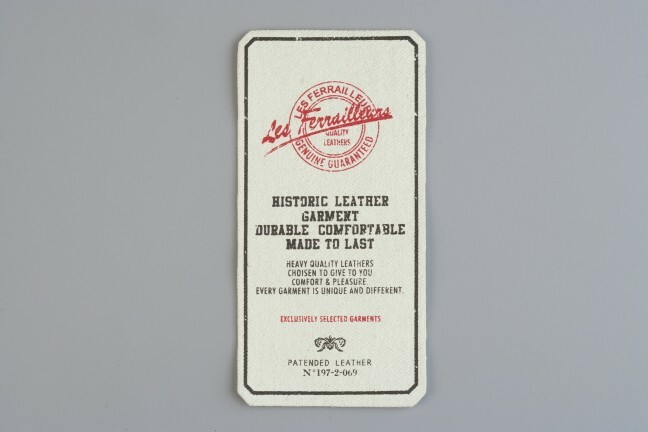 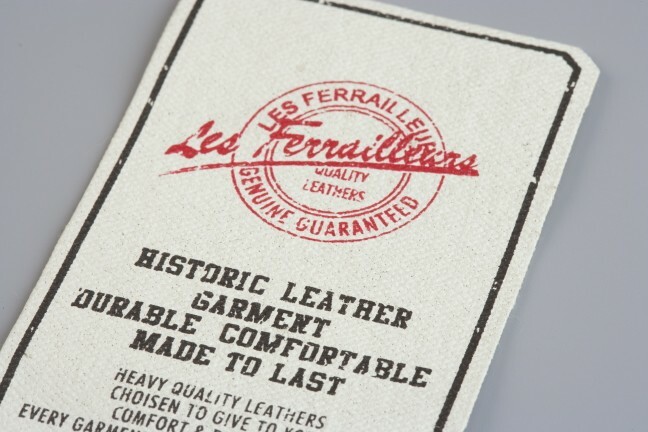 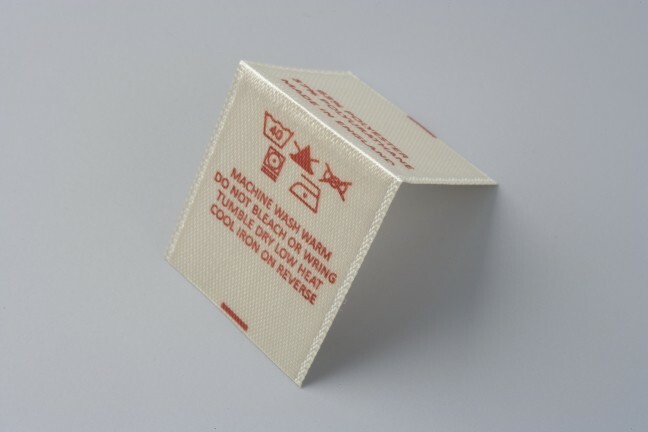 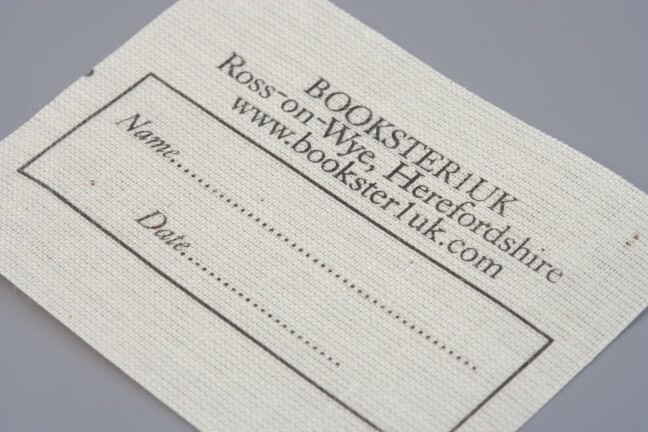 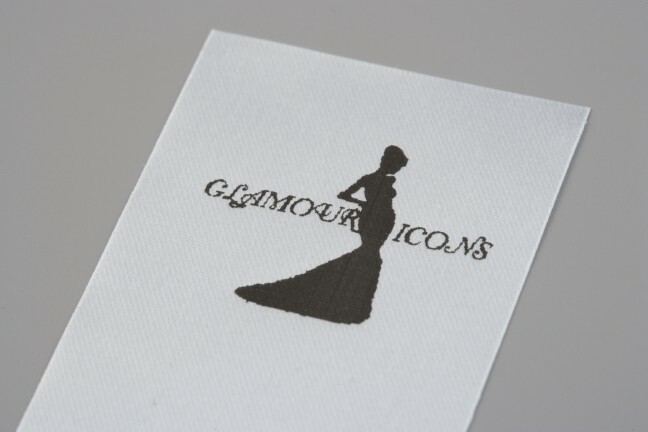 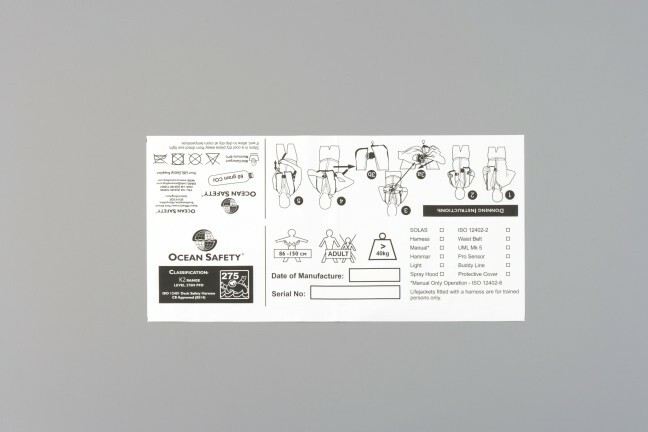 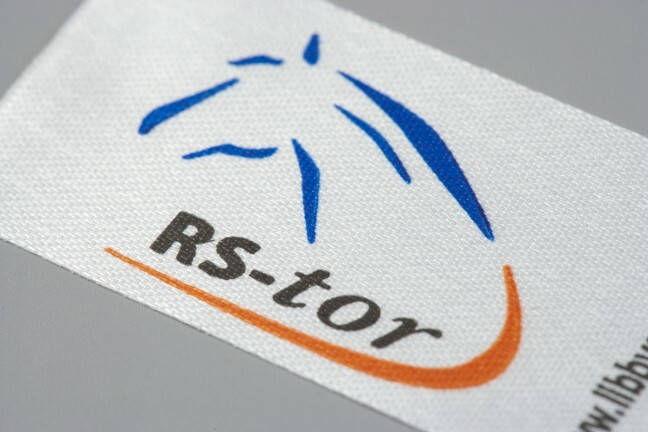 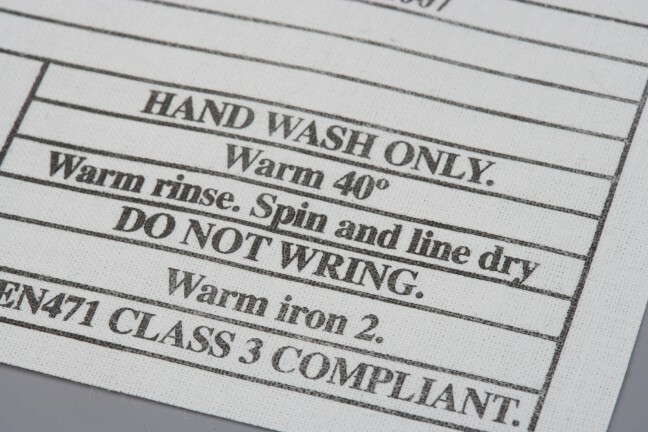 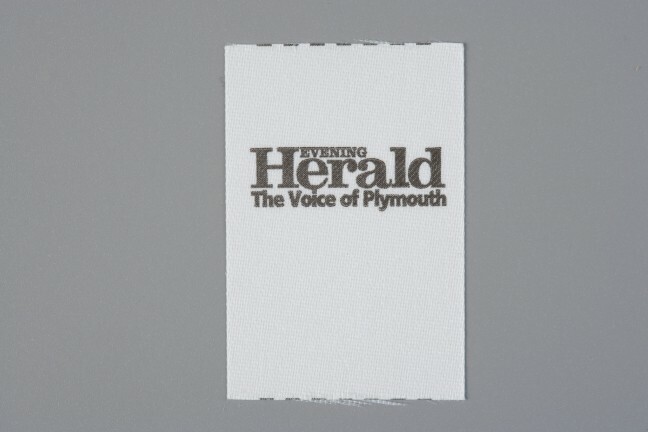 Functional and cost effective, our printed fabric labels are perfect for producing accurately detailed brand labels, care and composition details and statutory disclosures. 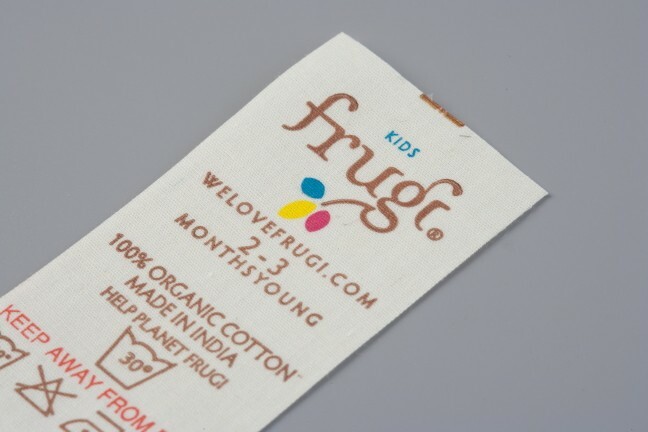 Your brand image is crucial so we ensure faithful replication on each label. 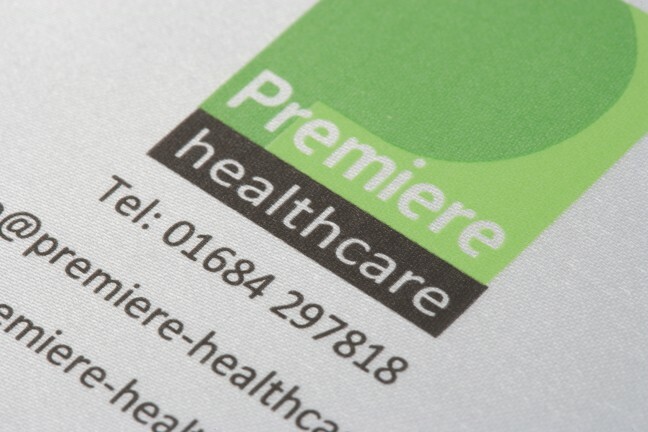 We can work with you, offering expert advice on colour matching and design layout. 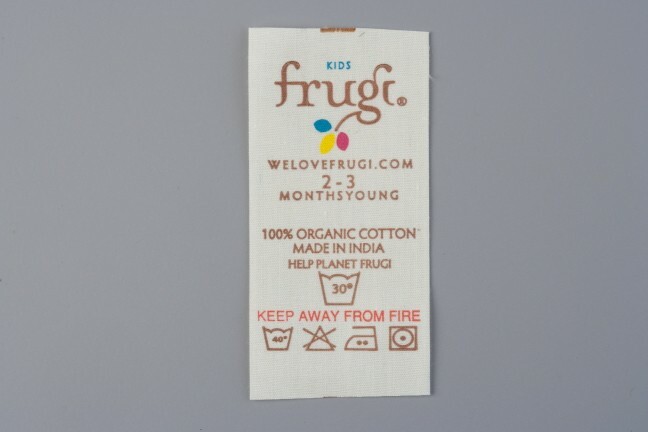 When you need a natural material then cotton is the perfect base platform. 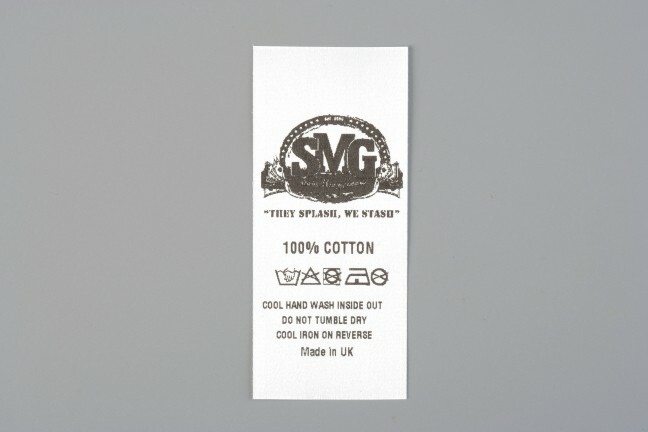 This is a coated fabric which gives good legibility and washing durability. 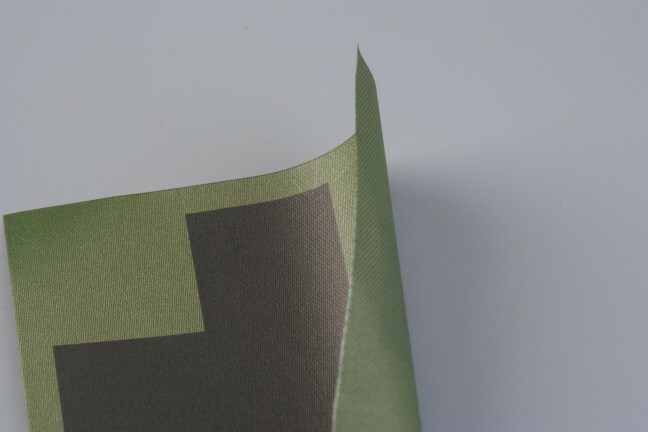 This product is excellent for military and non-glare situations. 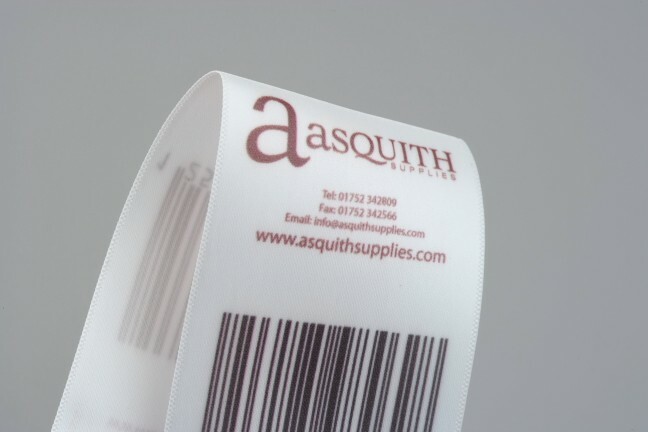 Our digital labels are the most flexible type available and are the best choice for a quick turnaround and low order quantity. 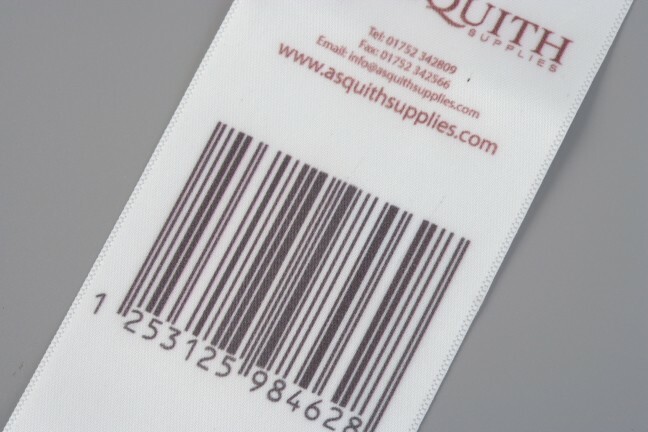 We can print barcodes labels, QR code labels, consecutive, serial, sequential and batch numbering labels with pristine detail. 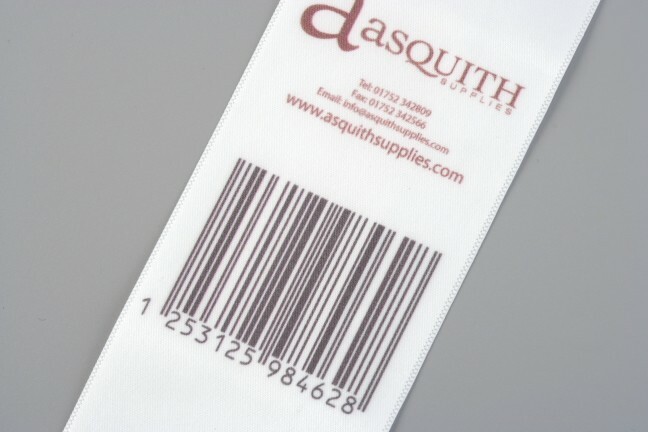 This is a product that all bed and mattress manufacturers require. 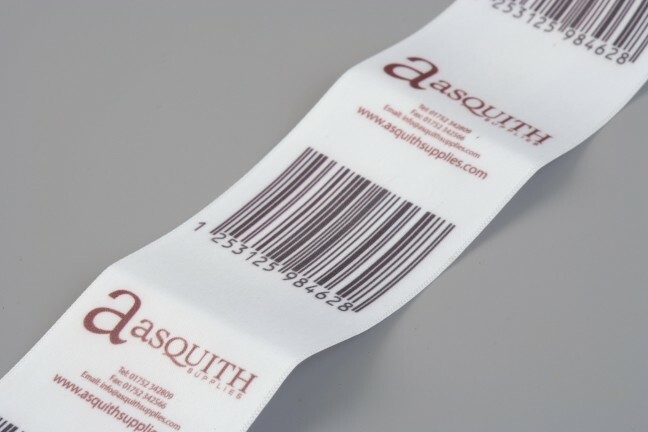 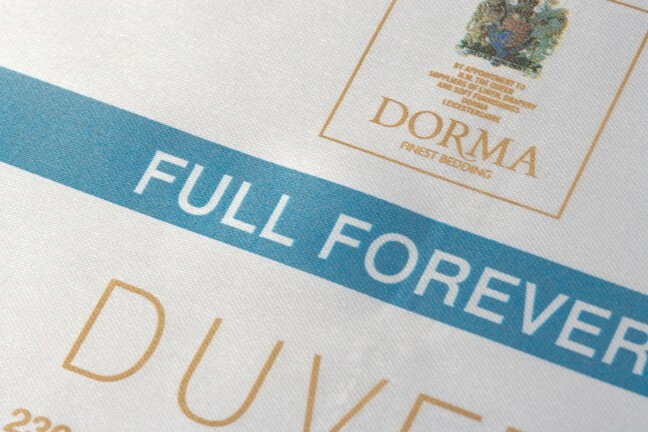 The label is printed digitally with our unique printing method to enable you to order low volumes of labels and benefit from a faster delivery time. 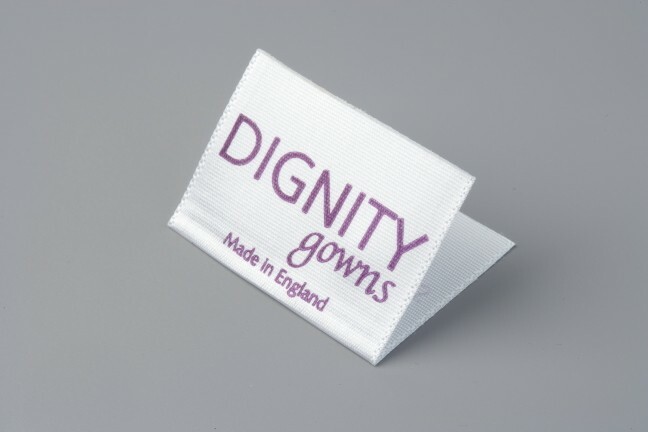 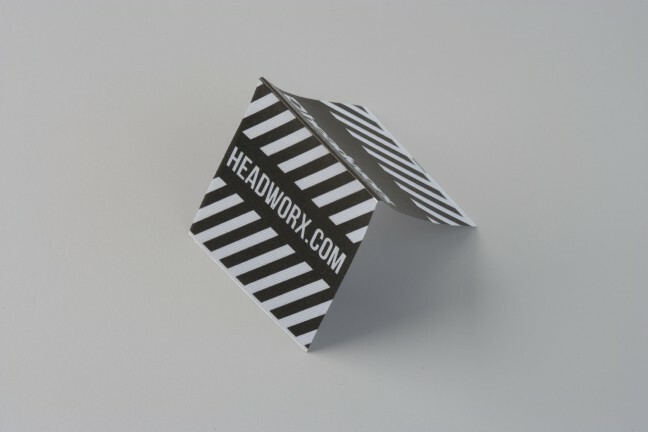 We offer a choice of sew-on or self-adhesive. 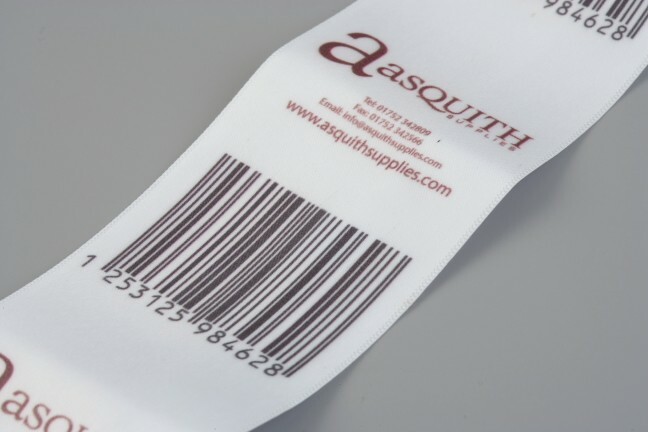 When you have to add a barcode or QR code to a label, this is the product to deliver the clarity and definition that is critical. 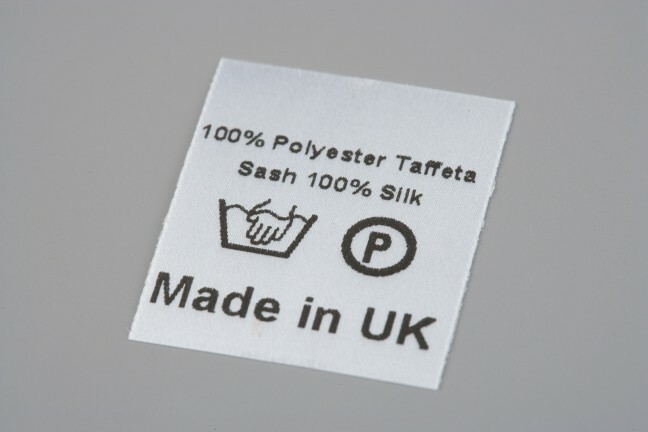 If a wipe-clean label is needed then this is the perfect option. 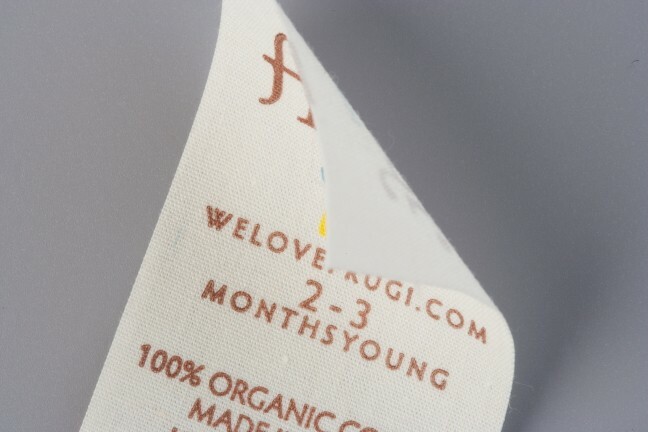 This is also an excellent choice for consecutive or batch numbering. 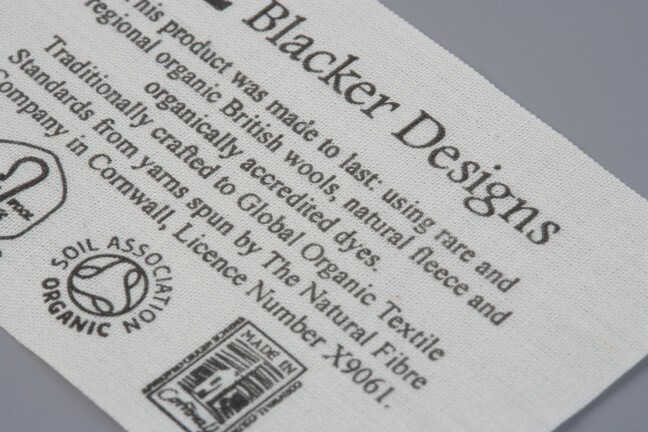 This quality is the benchmark for all printed labels. 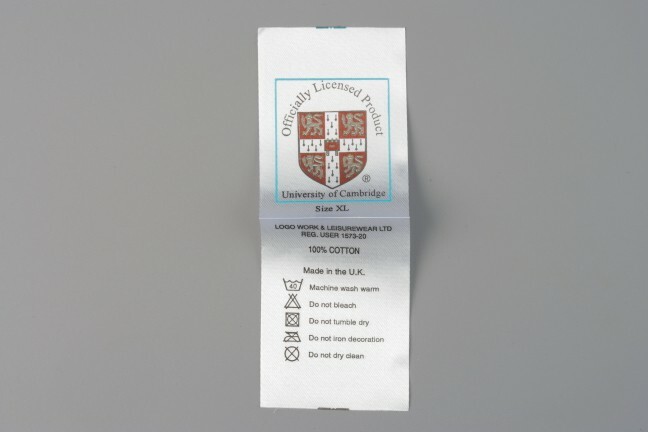 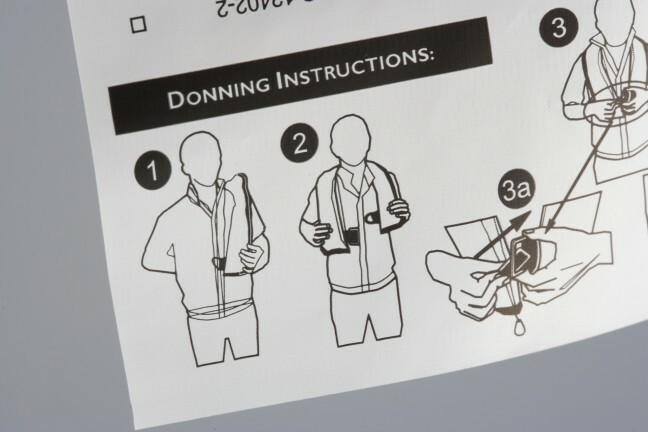 It has good readability and washable properties. 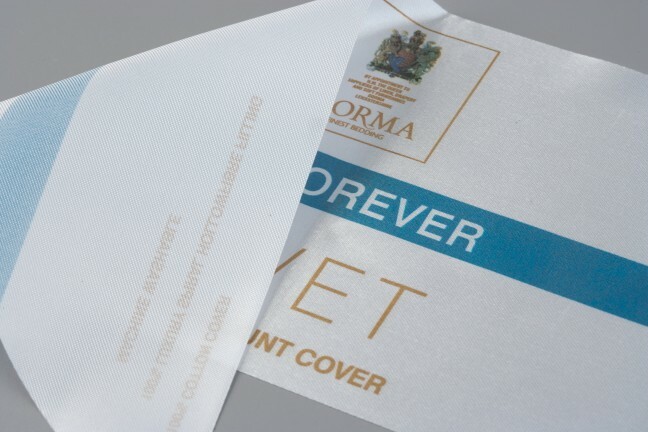 The satin lustre helps to promote a luxury high-sheen finish. 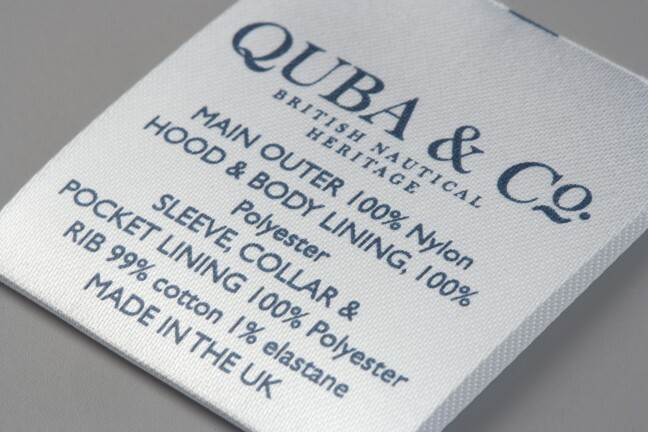 There are coated and uncoated fabrics within this range to give you the texture you need. 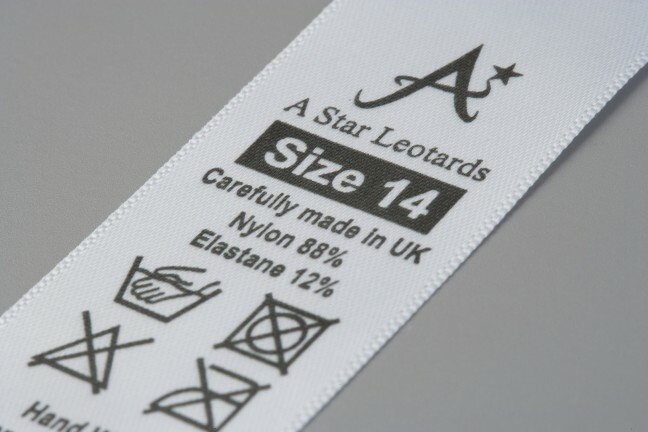 The PS79 is the ultimate label when comfort is required, with super-soft edges. 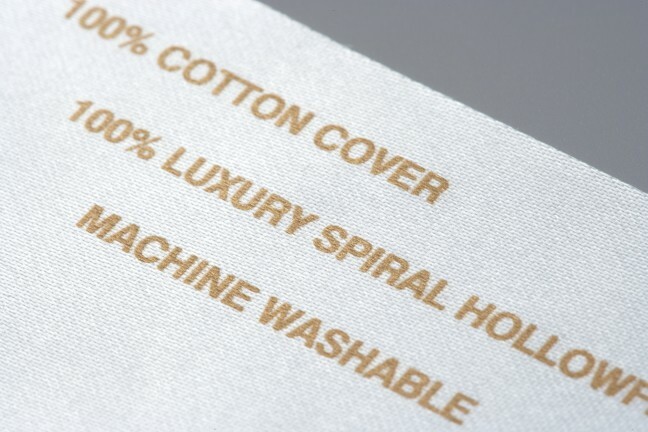 It has excellent washing capabilities while giving that extra high-quality look and feel. 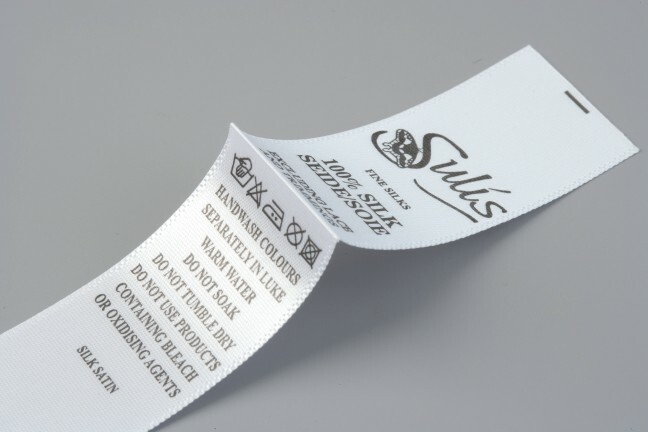 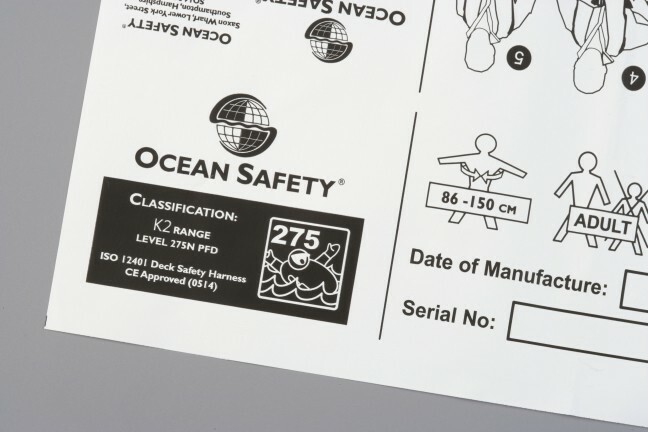 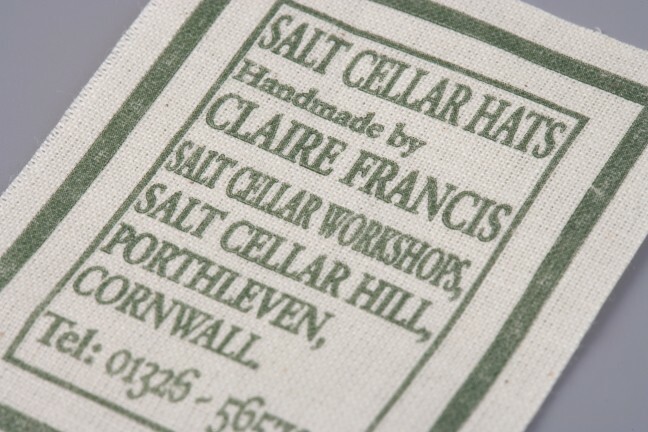 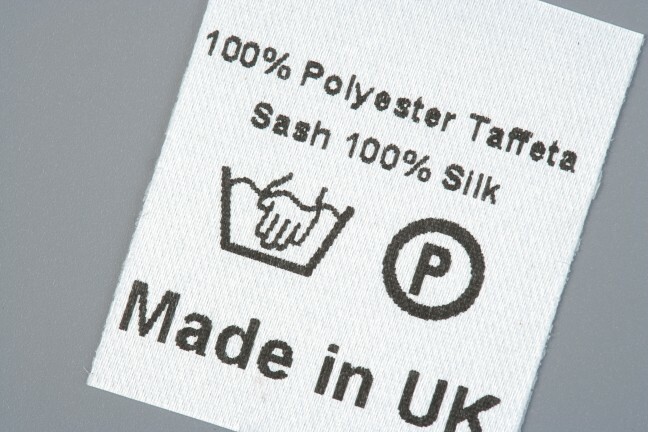 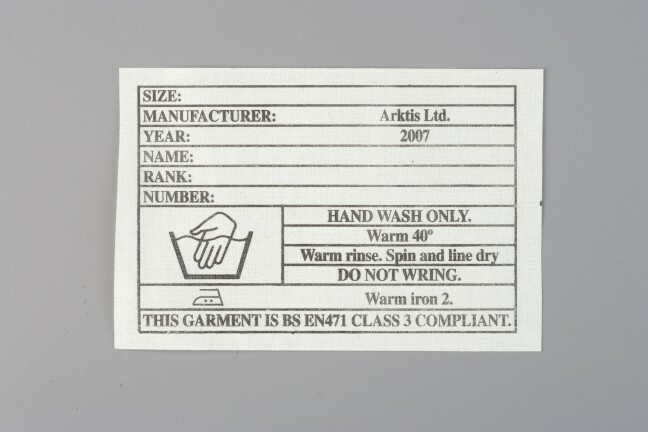 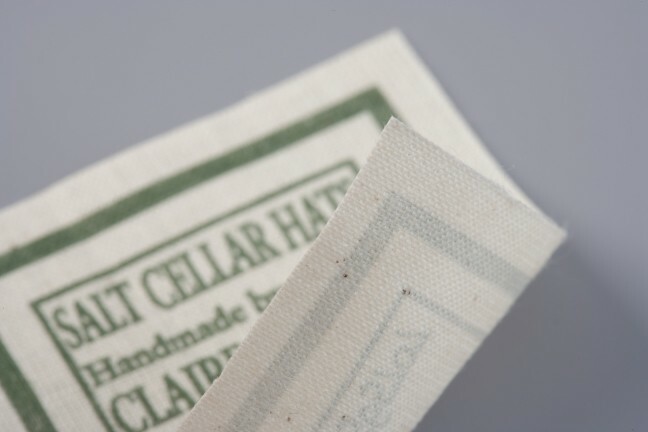 The PT20 is a basic printed fabric label. 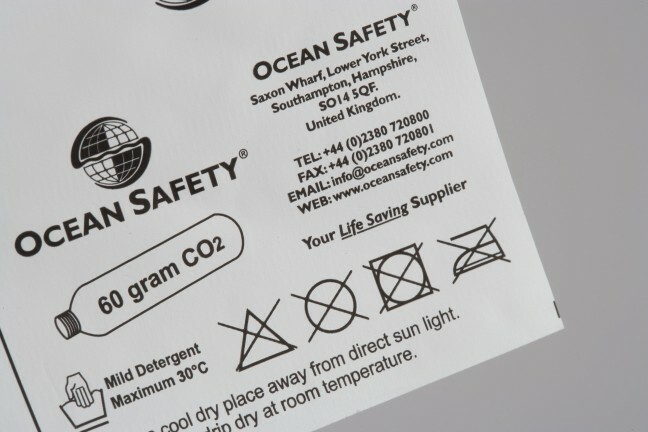 This product is the main stay of care/composition and information labels. 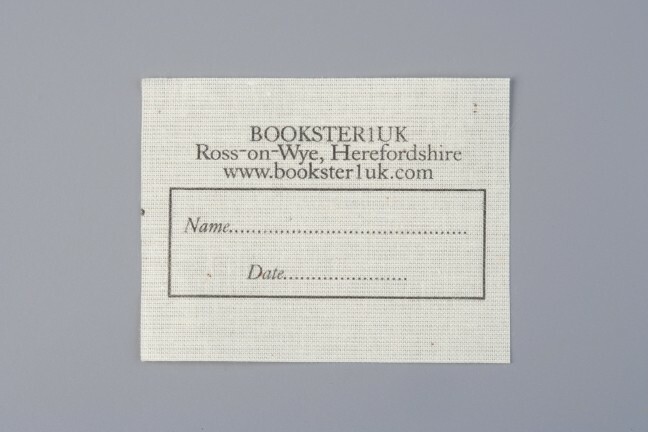 It has good 'write-on' properties.